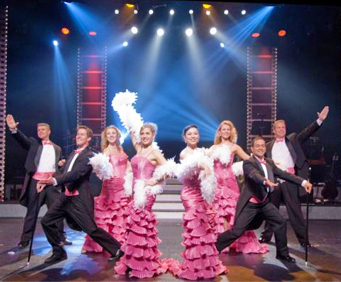 The Hooray for Hollywood show last performed in Branson in 2013 and is unfortunately no longer performing shows. See the most famous moments from movie history recreated live onstage with incredible singing, dancing, and special effects at Hooray for Hollywood! Hooray for Hollywood celebrates the magic and history of musicals on stage and onscreen. Movie clips from the film versions of beloved musicals play on a giant screen behind the stage, and then the biggest musical numbers are recreated before your eyes by an extremely talented cast of singers and dancers. Hooray for Hollywood features the biggest hits from movie musicals like "The Lion King" and "Singin' in the Rain." The dazzling costumes and stunning choreography is sure to leave you breathless as it takes you on a journey through years of movie history. 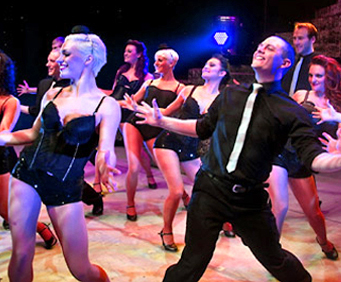 Hooray for Hollywood is produced by the same award-winning team that brought Spirit of the Dance to Branson. 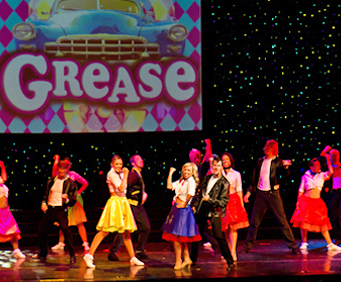 The amazing Hooray for Hollywood cast won Best Dance Troop at the Branson Show Awards their first year in Branson. They continue to amaze and delight audiences in a light-hearted, energetic show that pays proper tribute to the glamor and magic of Hollywood. Very fast moving and entertaining. Male dancers were not the quality of the female dancers. One in particular (tall, blonde,long hair ) was extremely clumsy yet featured throughout. Found if difficult to watch him. The show was fantastic and we had three generations that went to see the show 60 year old, 40 year old, and 12 year old and we all enjoyed the show. This is a low budget production - no costumes. Scenes from the movies were flashed on a screen on stage and the performers sang the songs.